Compared to Chaturang Gangotri, the climate proves to be more vulnerable to variability, retroactively clips back to the clip. According to a research paper published in the February edition of the current science magazine, a tributary of Gangotri Glacier, Chaturangi Glacier, is retreating at “considerable rate” and may be lost in the future. 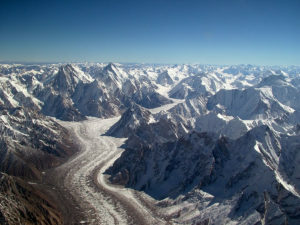 According to one of the study contributors, the retrograde glacier is another example of the effect of climate change, affecting the water flow in the Ganges. 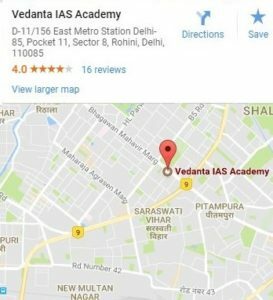 Studies conducted by scientists of the GB Pant National Institute of Himalayan Environment and Sustainable Development and the Center for Earth Sciences (IISc) increased the accuracy of the use of satellite data and Kinetic GPS (a satellite navigation technology) from 1989 to 2016. Has been launched for satellite-based positioning systems such as G. Obl Positioning System data or GPS).Chaturangi Glacier was connected with the Gangotri Glacier till 1989, but according to the study it is now different and retreated at a rate of about 22.84 meters / year. According to the paper, the previous study on Gangotri, published in 2008, has also described a similar pattern of retreat. But the rate of withdrawal of Gangotri is slower than the Chauturangi glacier. He said that there is a consensus between researchers and scientists that most glaciers of Uttarakhand Himalaya are retreating. “Variability in retreating rates is not only regulated by climate change, but also governed by glacier size, type, topographic setting and debris cover. The retrograde glacier’s rate is much higher than the Gangotri Glacier because it is time for rapid response to its small size and climate variability, “the paper reads. The effect of which can fall on the Ganges. “There are many subsidiary glaciers in Gangotri, but Chaturangi and Rakkhwan Glacier are two helper glaciers which are retreating at alarming rates. They may disappear in the future. The Himalayan glaciers are retreating relatively slowly. 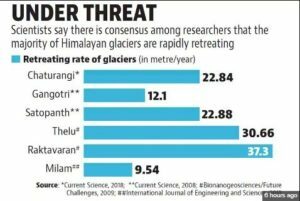 Since the Ganges comes out of the Gangotri Glacier, which is fed by the subsidiary glaciers, the rapid flow of glaciers such as Chaturangi and blood vessel will definitely affect the flow and water level in the Ganges, “said Prakash Chandra Arya, a researcher of the IISC, who said Contributed to the study. According to NASA’s Land Use Land Cover Change program, the glacier will melt “in the long run … water supply in those areas [Himalayan rivers] will be in crisis”. Due to soil erosion, landslide and floods, there will also be an impact on agriculture including soil loss and the temperature will increase in the areas along the river banks. Indian Space Research Organization (ISRO) is mapping the long term health of Himalayan glaciers. Information about glaciers (retreat / advance) in the 13 sub-basins of the Himalayas, ISRO’s web mapping service on Bhawan says that under the “Snow and Glacier Studies Phase-1”, satellite images of the 1989-1990 time-limit Is generated using. . Out of 2,190 glaciers, about 76% have shown damage in the field of snow cover and about 24% of glaciers have either not shown any change or have not shown any benefit in the area. A ISRO scientist said that recent figures of glaciers have not been released yet. Bisht and other researchers are currently evaluating the vulnerability of Glacial Lake Outburst Flood (GLOF) in Uttarakhand Himalaya. “We have noticed the construction of glacial lakes around the Gangotri Glacier, which also contributes to glaciel retreat by dissolving the ice. This also increases the risk of GLOF disasters, “said Bisht.